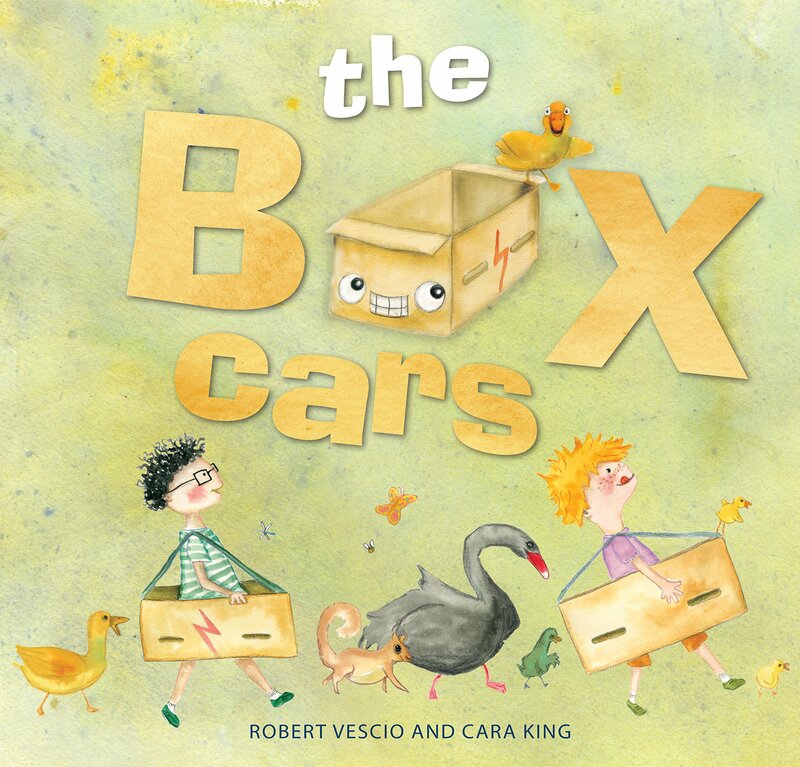 The Box Cars, Robert Vescio (author), Cara King (illus. ), EK Books, February 2019. Kai and Liam love playing with their box cars in the park… until Eve joins in. It seems like two’s company but three’s a crowd. Can they come up with a plan to save the situation and get back to having fun? I always love how Robert Vescio’s books lend themselves to good, old fashioned values on the fun in simplicity, the appreciation of our surroundings and the compassion we ought to show those around us. Let’s help our youngest generation of today to realise the potential of their imagination and the power of positive physical and social interactions in the fresh outdoors. The Box Cars is narrated in the same simple nature that will appeal to its preschool / early years-aged audience. It is engaging and energetic, just like its fun-loving characters – best friends Liam and Kai, and Eve – tearing around in their homemade cardboard box cars. Illustrator, Cara King has brilliantly added her touch of animation and humour that brings these criminal-chasing police cars, swan-carrying limousines, and duckling-laiden taxis to life. Her soft palette and bubbly vignettes show just how much joy and freedom this kind of play really can be. The story also offers the encouragement of utilising problem solving and sharing skills, as well as resilience and resourcefulness when two becomes three and when a car, literally, breaks down. The Box Cars; good, old fashioned, hooting and honking fun at its finest. Helping our young children of today break free from technology and harness the power of imagination, creativity and inclusion. A book to stimulate mind, body and soul. Race to get your copy today! A complimentary copy of this book was provided by the publisher, EK Books, in exchange for an honest review.